The Ultimate Twitter GIF Downloader. Everthing you could imagine. And more. Download .GIFs directly from Twitter with the built in "Share Via" button, or long-press with your favorite alternative like Tweetbot or Tweetdeck. 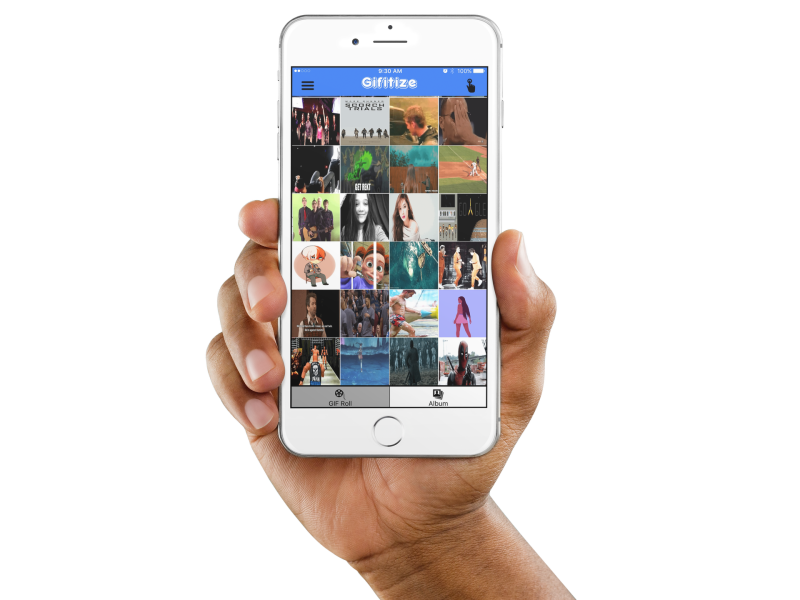 Saved .GIFs are directly accessible within your Photos App under an album designated "Gifitize". Tired of seeing the same .GIFs? No problem. You can select and delete them. Supports full-screen .GIF viewing. Finally see your images move without having to open them in your messenger app! Supports left and right scrolling in full-screen mode. Are you the organized type? Do you want to have a special album for your cat .GIFs You can do that too. Organize, Rename, Edit, and Remove albums with a few swipes of your finger. Unlimited number of albums supported. Long-press a thumbnail and directly post your favorite .GIFs to Twitter. Edit your tweet before posting and personalize it. Support for posting to other services coming soon! Full-featured, no limits Gifitize but with in-app ad displays. The ultimate Twitter .GIF downloading experience with no ads.